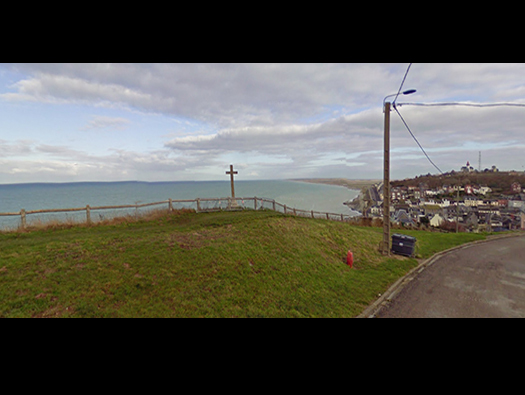 Ca14 Ault Sud, StP. 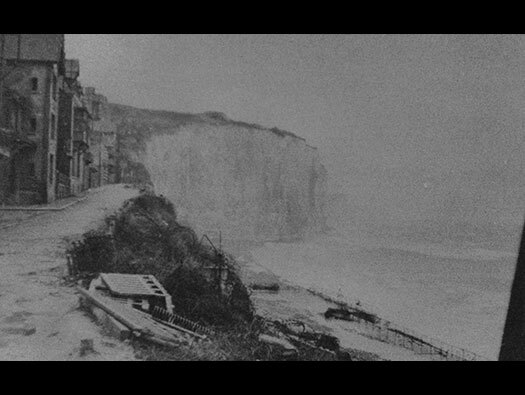 Gruppe Cayeux, K.V.A. 'E1'. Picardy. 1 x 5cm KwK 38. R600b for a 5cm KwK gun. R612 casemate for an assault gun for a 7.5cm F.K.235(b) field Cannon. R612 casemate for an assault gun. 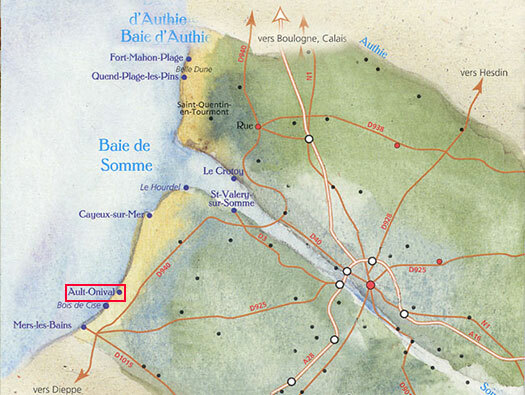 Plan of where the bunkers are. R612 casemate for an assault gun. More a play park than a bunker now. ammunition storage in the two niches. R612 casemate for an assault gun. Part of the flanking wall with the reinforcement bars hooked over to attach a camouflage net. The site of the second R612. 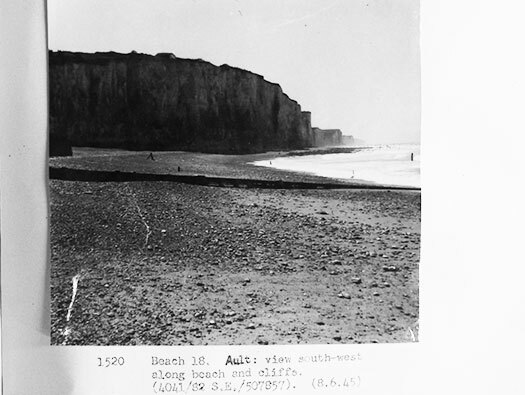 The caption on this photo says "The cliff at Ault taken from the end of the barrel of a Russian AA gun deployed in a beach defence role on the end of the road leading to the beach". R612 the second. Now almost covered. 7.5cm F.K. 235(b) the two guns were captured Belgian Kannon. R612 the second. 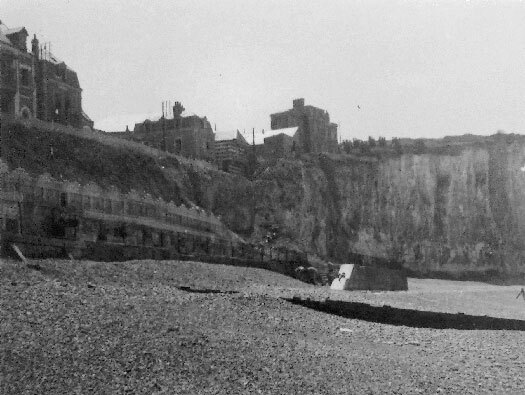 The casemate looking from behind now covered over. 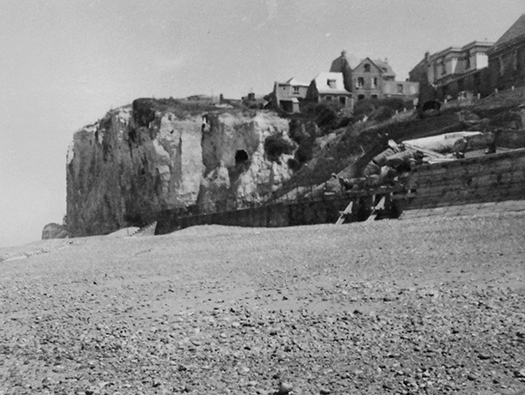 Ault beach 8 June 1945.